I shouldn't have left it to the last minute to read Divergent! I was biased - another dystopian YA book being adapted for the screen - but now that I'm reading it, I see I should have paid it more attention, earlier. More when I've finished Veronica Roth's book - fingers crossed that the remaining 180 pages are as taut, thoughtful and exciting as the first 145 - and that the movie follows suit. For now, via MovieFone just had to share some thoughts on bringing the author's vision to the screen from Andy Nicholson, the Oscar-nominated production designer behind Gravity, along with some shots of the bleak and futuristic version of Chicago. Scroll to the bottom to watch the trailer. I shared Nicholson's vision for the Dauntless tattoos a few days ago, and took a look at the costume designs for all the factions here. 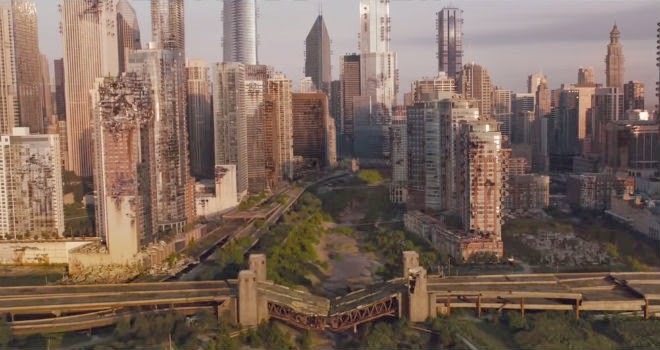 "Divergent" is set in a post-apocalyptic Chicago. However, my first conversations with Director Neil Burger were about how we could show that this was an aspirational society, making the best of their situation and, on the surface, managing to function relatively well. 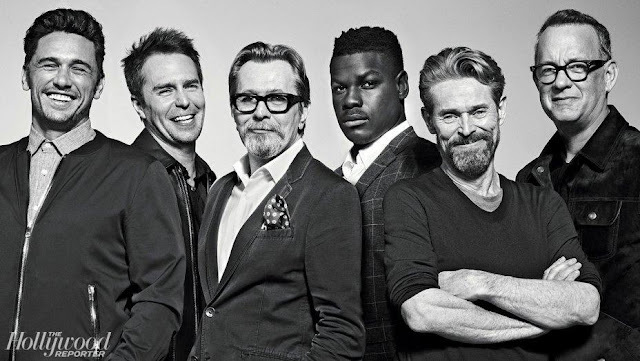 Neil also wanted to bring a sense of cinematic reality to the film using Chicago as a character and its monumental scale to emphasize the space its population enjoyed. 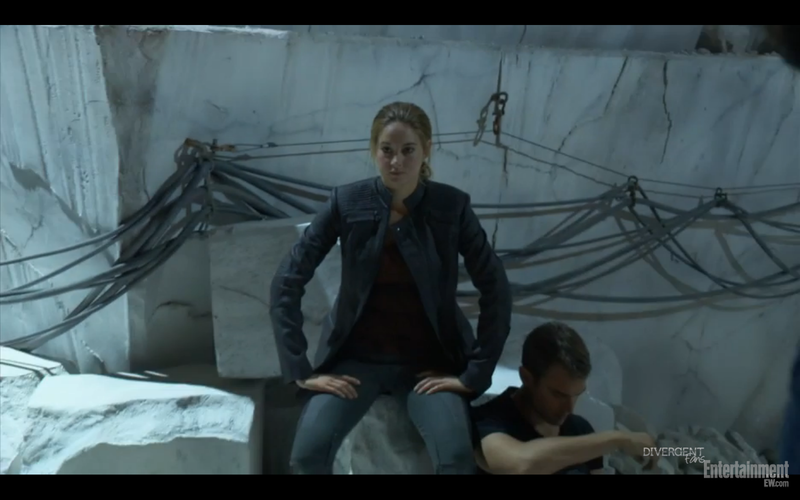 It is important that the audience believes the world Tris lives in, and that she wants to be a part of it. 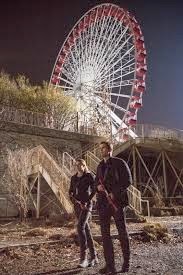 And, although the story is set about 150 years in the future in a place that has been isolated from the rest of the world for around 100 years, we wanted the city we showed to be familiar. Creating a believable, immersive, and exciting environment for the film that reflects this future was a visual and contextual challenge requiring scientific, sociological, and historic projection. 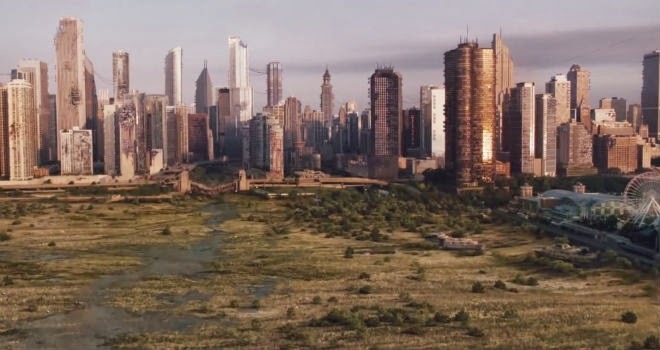 We had the added pressure of a loyal and expectant fan base, all of whom have their own inner vision of the Chicago described in Veronica Roth's book. It was very important not to let them down! Starting with broad-strokes and descriptions within the book Neil and I developed a visual bible outlining many of the details that would come to define the character and workings of "Divergent" Chicago. I worked with concept artists on designing the downtown area (The Hub) at first. The skyline would contain a percentage of buildings that were either damaged or destroyed, some would only survive as structural skeletons adding a few more futuristic towers not currently built. We decided that it made sense that buildings would be maintained by the population of the city, albeit to a minimal level, they would have a weathered patina suitable for their age and circumstance but would not be derelict. Road surfaces are disintegrated and have become partially overgrown, street signs and lights and traffic signals are gone. There were no cars, and transport is limited to the Chicago L train and a few general purpose trucks. Neil wanted to show how electrical power would be generated and we settled on the idea of scattering hundreds of wind turbines across the facades of the higher buildings in the Hub. Cables carrying power from the turbines are strung up in the sort of semi-structured more often seen in a favela. Windows are obscured by generations of grime. We had fun developing one of the great visual ideas in Veronica's book that Lake Michigan is now a marsh spotted with the rusting hulls of beached ships. The fence around the city is an omnipresent physical and symbolic representation of the city's isolation, and at this stage in the trilogy, its function is ambiguous, it is unclear whether the fence is imprisoning the population or for their protection. I loved the look of a huge Soviet radar array at Chernobyl, so we used that as a starting point. Its height could also be used as a Faraday cage blocking any incoming or outgoing radio communications. Chicago's L train features heavily in the story, but we decided to give it a different backstory and change the design so that it could be used to transport freight as well as passengers. This developed into an open, utilitarian interior with small flip up seats, cargo fixing points, and a lot of bare metal finishes -- no driver and few windows. 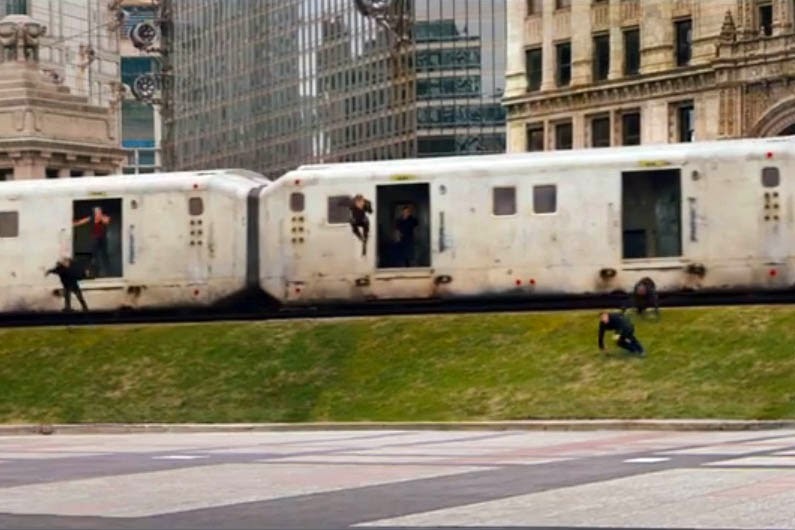 Apart from the Hub, screen time in Divergent is divided between 3 of the 5 factions within the city; Dauntless, Abnegation, and Erudite (although we see snap shots of Amity and Candor in the film's opening sequence). Each of these factional neighborhoods are very different, and, in order to play their part in telling the story, each one has to have a unique architecture and aesthetic reflecting their inhabitants' manifestos and occupations. Their design has to take into account the constraints of a long-time self-sufficient city. Dauntless have the run of Chicago, treating it like a giant assault course and occupying an industrial area of the city. They are also very cool with an informal discipline, so we thought that they would have requisitioned any buildings they needed rather than build their own, filling them with found and re-purposed objects. Their training and sleeping quarters reflect this, whereas the pit, dining hall, and especially the tattoo parlor are more funky places, where the use of color and ornamentation is more eclectic. 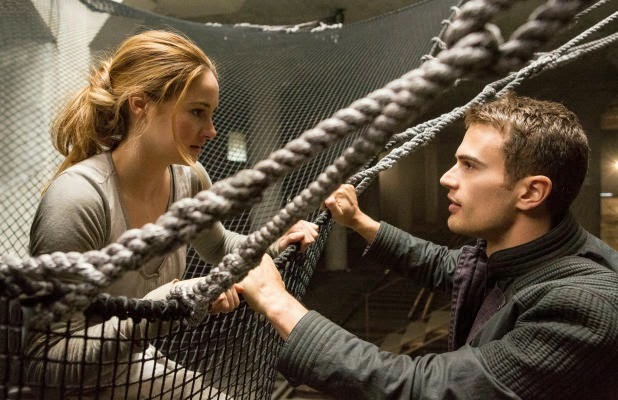 Abnegation live very close to the hub in a purpose-built village. Their core value is selflessness, so buildings are all the same, with raw unpainted finishes. Surface details had to feel like the result of a manufacturing process rather than intentional ornamentation. 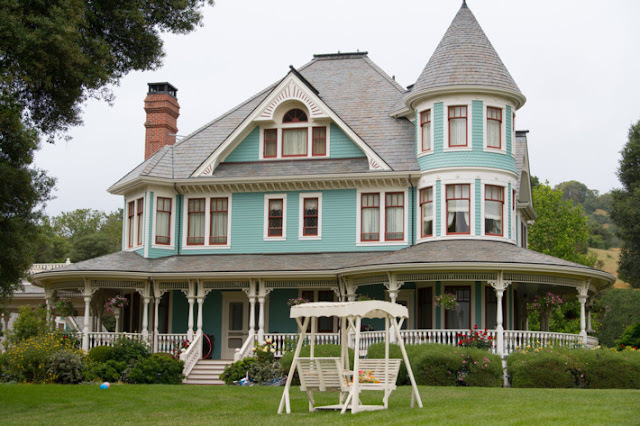 Their wood-block floors, doors, and window frames use recycled materials. I thought it was important that the houses looked as though they could be assembled on-site and by hand, built from pre-fabricated panels in a similar way to some existing disaster relief housing. 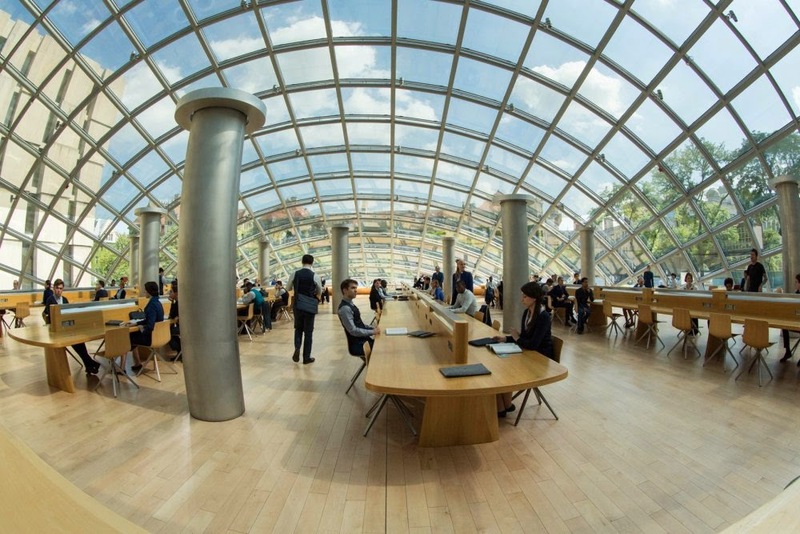 For Erudite, we decided to allow them to inhabit an area of modern buildings. The interiors were always a cross between laboratory and library, with white being the predominant color. Finishes are clean and materials modern throughout. It was very important to establish that, although their quest for knowledge and scientific development is paramount, they are self-important enough to devote effort to carefully maintaining their world in a way that is fastidious and even a little unnecessary!